Four men have been arrested after a man was seriously injured in an attack in Chorley. A 30-year-old man was left critically ill following an assault just after 12am on Sunday, at the junction of Union Street and Park Road. Police believe there was an altercation involving a number of men. 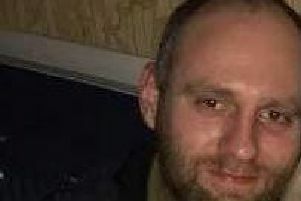 The victim, from Lostock Hall, was found with head injuries and was taken to Royal Preston Hospital where he remains in a critical condition. Four men have been arrested in connection with the incident. Two 19-year-old men, a 20-year-old man and a 24-year-old man, all from Leyland, have been arrested on suspicion of assault and remain in custody. Detective Superintendent Eddie Thistlethwaite from the Force Major Incident Team said: “Our victim was knocked unconscious and has today been operated on at the Royal Preston Hospital, where he remains critically ill, with life threatening head injuries. “It is clear from CCTV footage that the incident was seen by a number of people who were in the beer garden at the White Hart pub and we would appeal for those people to contact us. “Furthermore, we would like to speak with a man who appears to intervene after the disturbance and is seen urging the offenders to move on whilst the victim is lying in the street, protecting him in effect. “We need to speak to this man as he is key to the investigation, but I would stress that he is not a suspect and behaves admirably at the scene. “He is a white man in his 20s, of a slim/medium build, around 6ft tall with dark hair. “He is wearing a light coloured or grey hooded top, dark trousers or jeans, and dark shoes or trainers with white piping. Anyone with information should contact police on 101 quoting reference 0013 of November 30. Alternatively, contact Crimestoppers anonymously on 0800 555 111 or online at Crimestoppers-uk.org.